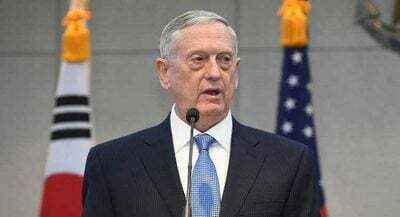 US Pacific Command (PACOM) is now the Pentagon’s Indo-Pacific Command, reflecting “connectivity between the Indian and Pacific oceans,” according to war secretary James Mattis. US strategy remains unchanged, seeking Indo-Pacific and global dominance, wanting pro-Western puppet regimes replacing all challengers to its imperial aims. China in the Pacific, Russia in Eurasia, and Iran in the Middle East remain prime US targets for regime change. Trump continues Obama’s Asia pivot strategy, advancing Washington’s regional military footprint – involving containment of China’s growing political, economic and military strength, along with checking Russia. War in a part of the world hostile to invaders is possible. Upcoming Trump/Kim Jong-un summit talks offer no assurance of easing tensions – responsibly stepping back from the brink not a US attribute. Neither are fostering world peace and stability, promoting equity and justice, along with respecting rule of law principles and democratic values – anathema notions to Republicans and undemocratic Dems. On Saturday, Mattis addressed the Asia Security Summit’s Shangri-La Dialogue plenary session in Singapore – his remarks aimed at China more hostile than encouraging, stoking tensions instead of responsible outreach to avoid them. His comments about “a free-and-open Indo-Pacific” reflect US aims for regional dominance. “(M)ake no mistake,” Mattis roared. Adding “no one nation can or should dominate the Indo-Pacific” belies Washington’s intent to control the region unchallenged – nations unwilling to bend to its will targeted for regime change. Chinese General He Lei at the plenary session countered Mattis, saying America is the real source of regional tensions and possible conflicts. Washington “created a grand narrative consisting of keywords including ‘rule-based order’, ‘freedom of navigation and overflight’, and ‘militarization’ “ – criticism aimed at China. On North Korea, Mattis demanded what Washington is unlikely to get short of iron-clad security guarantees the DPRK seeks – never assured in dealings with the US. “Our objective remains the complete, verifiable, and irreversible…denuclearization of the Korean Peninsula,” said Mattis – wanting the DPRK to eliminate its key deterrent to feared US aggression, getting nothing in return but empty promises. At the same time, Mattis stressed “modernizing our alliance with both the Republic of Korea and Japan” – code language for pursuing increased regional militarization under Pentagon control. “(I)ncreasing economic prosperity” means benefits accruing to US corporate predators at the expense of foreign competitors. Mattis turned truth on its head, accusing Beijing of “militarization (for) intimidation and coercion” – US policy globally, not China’s, cooperating with other nations, not bullying or attacking them.